Applied Inspection provide a professional and comprehensive welding and welder training service throughout the UK. 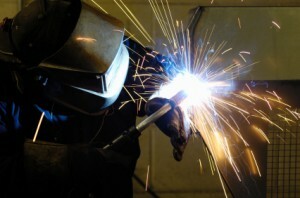 Our welding staff are experienced in all processes and material types, offering a service to suit your business needs. We also provide weld repairs and coordination services/welding engineering consultancy. Our welding facility based in Burton Upon Trent houses the latest technology. We hold third party quality approval from BSI to BS EN ISO 9001: 2015 and TWI to BS EN ISO 15085-2 CL-1 & CL-2 for welding services, both on-site and at our Burton on Trent welding facility. Do your welders need certification to a BS EN standard? Do you require welding engineering consultancy services? Are you looking for a responsible welding coordinator (RWC)? Bringing in our highly qualified staff could be of considerable benefit to you company, we have an in-house European Welding Engineer (EWE). So why not call us today to see how we could assist you in problem solving, improving the quality of workmanship and venturing into new markets; all making your company more profitable.